Amended Hours This Weekend — Jonas Approaches! 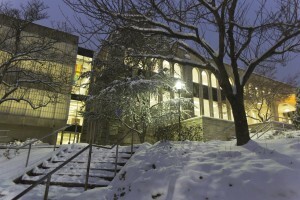 Due to the impending snow storm the Post Learning Commons and Drexel Library will have amended hours of operation. PLC and Drexel Library open until 9:00 PM . Saturday, Jan 23: PLC and Drexel Library closed all day. PLC and Drexel Library open 12 noon – 12 midnight. e-books via the Library website. Have a question? Librarians will be available via our Library chat service located on the Library’s home page.